You have probably seen the drawing that, depending on your perspective, appears to be either a beautiful young woman or an ugly old hag. At first blush such polar opposite impressions of the same image seem illogical, but upon closer examination you see how different observers can draw starkly different conclusions. A similar phenomenon applies to impressions of the detention facility and military commissions at Guantanamo Bay, Cuba. As Senator Lindsey Graham has said, “[t]he image of Guantanamo Bay and the reality of Guantanamo Bay are completely different.” My vantage point as the chief prosecutor for the military commissions biases my perspective, so I make no claim that my views are completely objective. By the same token, the perspectives of those critical of Guantanamo Bay are probably just as biased. That said, what I offer is my perspective, which is likely to contrast sharply with the ugly picture of Guantanamo Bay that many attempt to sell to the public. What I see is a clean, modern facility that employs humane detention practices to prevent enemy combatants from causing harm in the future and that utilizes fair trial procedures that exceed standards accepted in comparable international tribunals to adjudicate the guilt or innocence of enemy combatants alleged to have committed punishable offenses in the past. If truth be told, and often it is not, there is no compelling reason to cut and run from the detention facility or the military commissions. I became the chief prosecutor for the military commissions in September 2005, and since then I have been to Guantanamo Bay many times. Camp X-Ray closed in the early part of 2002, long before my association with military commissions. Overgrown with weeds, Camp X-Ray was only inhabited by banana rats and iguanas when I first saw it in January 2006. Nonetheless, to this day news stories about Guantanamo Bay frequently contain pictures of detainees in Camp X-Ray, even though it was abandoned more than five years ago. Those old pictures of Camp X-Ray, coupled with memories of criminal acts committed by a few individuals at other detention facilities, tinge the public’s impressions of Guantanamo Bay. That is unfortunate. Any notion that detainees are held in facilities that even remotely resemble Camp X-Ray or are subjected to abusive treatment is absolutely wrong. Detainees are held in Camp Delta, a complex made up of Camps 1 through 6. The structures range from metal roof buildings with wire mesh sides and individual wire mesh cells to hard-sided metal buildings with communal living arrangements and air-conditioned concrete facilities with individual cells modeled after confinement facilities in the United States. Unlike Camp X-Ray, all of the facilities have indoor plumbing. Detainees receive three culturally appropriate meals per day, each has a personal copy of the Koran, and the guard force maintains respectful silence during the five daily prayer periods. Camp 6 was under construction when I first visited Guantanamo Bay in early 2006, and it opened later in the year. Camps 5 and 6 are modeled after confinement facilities in the United States where U.S. citizens are currently incarcerated. Camp 5 is modeled after the Miami Correctional Facility operated by the Indiana Department of Corrections, and Camp 6 is modeled after the correctional facility in Lenawee County, Michigan. Detainees are offered at least two hours of outdoor recreation time per day, twice the amount of time that U.S. citizens incarcerated at the U.S. Penitentiary in Florence, Colorado receive. I have visited a number of military and civilian confinement facilities in the United States during the course of my career, and I believe many of our own incarcerated citizens would be envious of the treatment afforded to the detainees at Guantanamo Bay. It is a clean, safe, and secure environment where the detainees receive nutritionally sound and culturally appropriate meals and the full range of medical care provided by the same practitioners that treat members of the armed forces. 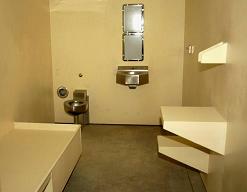 I honestly believe the standards at Guantanamo Bay rival any at similar facilities I have seen in the United States. The many young men and women who serve there do not get the credit they deserve. They endure threats and are subjected to having every substance that can be excreted from the human body thrown in their faces, yet with very few exceptions they have performed professionally, honorably, and in a manner of which all Americans should be proud. They do this with almost no fanfare or thanks. The fact of the matter is that the truth about Guantanamo Bay does not generate sensational headlines, and as a result the accolades the facility has earned receive almost no attention. For instance, following an inspection by the Organization for Security and Cooperation in Europe (OSCE) in March 2006, a Belgian representative said that, “[a]t the level of detention facilities, it is a model prison, where people are better treated than in Belgian prisons,” yet this positive comment about Guantanamo Bay was not widely reported. Likewise, following a visit in March 2007, Senator Graham said the detention facility is “absolutely one of the best run prisons in the world.” Very few people had the opportunity to hear Senator Graham’s praises. Some critics describe Guantanamo Bay as the equivalent of a Soviet gulag or a Nazi concentration camp. While the shock value of their dramatic descriptions grabs headlines, the reality I have observed does not by any stretch of the imagination match their hyperbole. This point is illustrated by the case of David Hicks, often referred to as the “Australian Taliban.” In order to foster public outrage and build sufficient political pressure to secure his release, for several years David Hicks, his family, and his supporters waged an aggressive media campaign alleging that he was mistreated while in detention. When his case came to trial before a military commission in March 2007, however, he and his defense counsel stipulated that he was not mistreated, and in the sentencing proceedings Mr. Hicks expressed his thanks to the men and women of the U.S. armed forces for the way he was treated. This suggests that a measure of skepticism is in order when assessing the truth of exaggerated claims of abuse made by detainees and their supporters. In short, based upon what I have seen firsthand, the American public has nothing to be ashamed of in the way the young men and women of its armed forces treat detainees at Guantanamo Bay. Some argue that indefinite detention without charges or a trial is unfair. That argument holds true for those taken into custody by law enforcement authorities for ordinary criminal conduct and held in civilian jails, but the analogy does not fit a warfare context. Detainees are held at Guantanamo Bay because of their involvement with or support of al Qaeda and its affiliates during a period of armed conflict, not because they are alleged to have robbed the corner liquor store. Their actions fall under Title 10 of the U.S. Code (Armed Forces), not Title 18 (Crimes and Criminal Procedure). Prior to the Treaty of Westphalia in 1648, those captured during armed conflicts could generally expect one of two unpleasant fates: death or enslavement. The treaty expressed a principle that endures to this day, that persons captured during armed conflicts will be detained and then repatriated upon the end of hostilities. Millions have been detained during armed conflicts, most notably during World War II and more recently during the war in Vietnam. By blurring the lines between procedures applicable to domestic crimes committed by ordinary criminals and law of war procedures applicable to the detention of enemy combatants, critics mislead the public. Detaining captured enemy combatants without charges or trials and placing them in a position where they are incapable of inflicting harm on us or our allies is entirely consistent with internationally accepted principles that have endured for more than four centuries. The mechanism used to determine whether a person detained in the war on terror is an enemy combatant, and therefore subject to continued detention, is a Combatant Status Review Tribunal (CSRT). A CSRT is a one-time administrative hearing, and its decision is subject to review by the United States Court of Appeals for the District of Columbia. Additionally, each detainee receives an annual review by an Administrative Review Board (ARB) to assess whether he represents a continuing threat. Depending on the ARB’s determination, the detainee may be kept in detention, transferred to the control of another country, or released. As of May 15, 2007, about 390 detainees had been released or transferred through the ARB process. Of that number, the Department of Defense says thirty rejoined the fight against the United States. It is important to remember that both CSRTs and ARBs are administrative, not judicial, proceedings, and the procedures and rules for criminal trials do not apply. That distinction is lost in some of the arguments made by the detainees’ supporters. The CSRTs and ARBs also satisfy the Geneva Convention requirement of an Article 5 hearing to determine each detainee’s status. These processes are separate and distinct from the military commissions. I have no direct role in them; therefore, I do not have the personal experience necessary to comment on them in depth. The Military Commissions Act of 2006 permits the prosecution of “alien unlawful enemy combatants engaged in hostilities against the United States for violations of the law of war and other offenses triable by military commission.” While the detention of enemy combatants has a prospective focus – to prevent individuals from inflicting harm in the future – prosecution has a retrospective focus: to hold individuals accountable for unlawful acts committed in the past. The individuals detained at Guantanamo Bay came into U.S. custody in a variety of ways, and evidence and information useful in assessing whether there is a prosecutable case may exist in a multitude of domestic and international channels. In order to conduct this Herculean mission of information gathering and analysis, the Department of Defense created the Criminal Investigation Task Force (CITF ) in early 2002. CITF is a joint-service organization with investigators, intelligence analysts, attorneys, and support personnel from all branches of the armed forces, and its mission is worldwide. The men and women at CITF receive little recognition for the enormously difficult work they do collecting information and evidence from around the world, assembling it in a coherent manner, analyzing it for possible links to other cases or operations, and presenting it to the prosecutors to determine whether prosecution in a military commission is feasible. Based upon the work of hundreds of current and past CITF personnel, we expect to prosecute about seventy-five detainees in trials before military commissions. Military commissions have been used repeatedly throughout our nation’s history, but until now they had not been utilized since the World War II era. Recounting the historical underpinnings of military commissions and their evolution since their reintroduction by the President’s Military Order of November 13, 2001, is a task better suited for a law review article. Instead, my focus here is on the rights an accused has in a trial before a military commission and the source of those rights. Some critics seem to believe that if an accused does not receive a trial that looks just like Martha Stewart’s and ends with a verdict like O.J.’s, then military commissions are fatally deficient. In other words, they contend that an alien unlawful enemy combatant is entitled to the same rights and protections as an ordinary American citizen in an Article III court or a service member in a trial by court-martial. They are mistaken. We must be very clear about one point; it is only “summary” justice which it is intended to prohibit. No sort of immunity is given to anyone under this provision. There is nothing in it to prevent a person presumed to be guilty from being arrested and so placed in a position where he can do no further harm; and it leaves intact the right of the State to prosecute, sentence and punish according to the law. As can be seen, Article 3 does not protect an insurgent who falls into the hands of the opposing side from prosecution in accordance with the law, even if he has committed no crime except that of carrying arms and fighting loyally. Article 75 of Protocol I lists a number of basic rights, including the rights: to be informed of the charges; to a trial before an impartial and regularly constituted court; to a means of presenting a defense; to not be held accountable for conduct that was not proscribed at the time of the offense (no ex post facto liability); to a presumption of innocence until proven guilty; to be present at the trial; to not be compelled to testify or admit guilt; to examine, or have examined on his behalf, witnesses called against him; to obtain witnesses on his behalf; to not be tried again by the same party for an offense already the subject of a pronounced judgment (no double jeopardy); to have the judgment announced publicly; and to have his post-trial remedies, and any time deadlines, explained. The procedures set out by Congress in the Military Commissions Act of 2006 (MCA) meet or exceed the judicial guarantees recognized as indispensable by civilized peoples. The accused and counsel must be served a copy of the charges in English or the language the accused understands. A military commission is a regularly constituted court, and the MCA includes safeguards to ensure impartiality, such as a statutory prohibition on any effort to unlawfully influence the trial participants and the right to peremptorily challenge and challenge for cause members of the commissions (that is, jurors). Congress has said that the MCA does not define new crimes; instead it codifies existing crimes subject to trial before a military commission. It has also said that the MCA establishes procedures governing military commissions to try alien unlawful enemy combatants engaged in hostilities against the United States. If the defense contends an offense was not proscribed at the time alleged in a charge, it can file a motion to dismiss under the Rules for Military Commissions. The accused has the means to present a defense through the services of military and civilian defense counsel, or he may elect to represent himself with counsel on stand-by. The accused is presumed innocent until his guilt is established by legal and competent evidence beyond a reasonable doubt. He is entitled to be present at all open sessions of the court. He may not be compelled to testify at the military commission. He has the right to confront and respond to all of the evidence and witnesses presented against him, and he is entitled to assistance in securing evidence and witnesses on his behalf. The MCA prohibits the trial of an accused a second time for the same offense. The decision of the military commission is announced as soon as the members have reached a verdict and, if the accused is found guilty, when they have determined a sentence. Finally, the accused is entitled to the assistance of counsel as his case progresses through four stages of post-trial review, ending at the United States Supreme Court. Perhaps the biggest myth surrounding military commissions is the widely believed, yet totally false, claim that an accused can be excluded from his own trial, and convicted and sentenced, based on secret evidence he is not allowed to see or hear. The MCA states: “The accused shall be permitted . . . to examine and respond to evidence admitted against him on the issue of guilt or innocence and for sentencing . 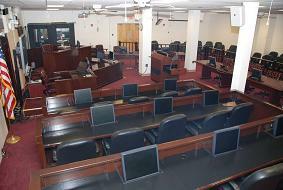 . . .” Additionally, the MCA gives the accused the right to be present for all open sessions of the trial. In short, unless the accused voluntarily absents himself from the trial proceedings or is excluded for cause due to his own behavior, he has the statutory right to be present and to see, hear, and confront all of the evidence presented to the court members on the issue of his guilt or innocence and for sentencing. The secret trial/secret evidence/secret verdict mirage would make a wonderful mantra for those who wish to disparage military commissions, if only their claim were true. It is, however, totally false. Anyone who has observed a trial by court-martial will find that a trial before a military commission looks very familiar. Congress directed the Secretary of Defense to enact rules and procedures for military commissions based, to the extent practicable, upon the principles of law and rules of evidence for trials before general courts-martial. The Secretary did so in the Manual for Military Commissions (MMC) published on January 18, 2007. In the forward to the MMC, Secretary Gates said the manual is adapted from the Manual for Courts-Martial (MCM). A side-by-side comparison of the MMC and the MCM shows the two documents track very closely to each other with respect to rules of both procedure and evidence. Two areas of military commissions practice are the most contentious: the potential use of evidence obtained by coercion and the admissibility of hearsay evidence. The MCA prohibits introduction of evidence obtained by torture. It goes on to say that a statement obtained from the accused shall not be excluded on the grounds of alleged coercion that does not amount to torture if the military judge finds the evidence would have probative value to a reasonable person. If a statement, from the accused or another person, was obtained prior to December 30, 2005—the date the Detainee Treatment Act was enacted—and the defense contends that the degree of coercion renders the statement unreliable, the statement will not be admitted unless the military judge finds, based on the totality of the circumstances, that the statement is reliable, that it possesses sufficient probative value, and that its admission is in the interest of justice. A statement obtained after December 30, 2005, must meet the same criteria, and the methods used to obtain the statement must not amount to cruel, inhuman, or degrading treatment prohibited by the Detainee Treatment Act. The truth is that any statement made by a person whose freedom of movement is restrained by a person in a position of authority is the product of some degree of coercion, regardless of whether the person in authority is a police officer who has pulled someone over on the side of the road or a soldier guarding a captured enemy fighter on the battlefield. In either case the person making the statement is engaged in a conversation that was not the product of his or her own choosing. The challenge is determining when a questioner has gone too far in order to elicit a response. This will certainly be an area of debate in the courtroom as the military commissions go forward. I do not, however, believe it is cause for alarm. The team responsible for prosecuting a case must decide what evidence it intends to introduce at trial. If there is a question whether the methods used to obtain a statement went too far, then I have the authority to make the final decision on behalf of the prosecution. We understand the importance of both doing justice for the individual on trial and ensuring that observers around the world have confidence that the trials are in fact just, and both of those considerations guide the prosecution’s trial preparations. If we choose to offer evidence the defense believes should not be admitted because it is not reliable, they can challenge it, and the military judge must decide whether or not it is admitted. If it is admitted, both sides can argue to the members what weight, if any, they should give the evidence in their deliberations. If a conviction results, the accused has the assistance of counsel to raise issues in four stages of post-trial appellate review: before the convening authority, the Court of Military Commission Review, the U.S. Court of Appeals for the District of Columbia Circuit, and the U.S. Supreme Court. These are, in my opinion, ample safeguards to ensure that trials of alien unlawful enemy combatants before military commissions are fair. Similarly, permitting the admission of hearsay evidence does not deprive an accused of a fair trial. The MCA states that hearsay is admissible unless a party challenges the evidence and persuades the military judge that its probative value is substantially outweighed by the danger that it will result in unfair prejudice, confuse the issues, mislead the commission, or cause undue delay, waste of time, or needless presentation of cumulative evidence. This applies equally to evidence for the prosecution and the defense. Admittedly, this broader standard allows the introduction of some evidence that would not ordinarily be admissible in a trial in federal court or a court-martial, but the rights afforded an American citizen are not the universally mandated benchmark for measuring the rights afforded to an alien unlawful enemy combatant in a military commission. Recall the rights set out in Article 75 of Protocol I, rights that Justice Stevens highlighted as the judicial guarantees recognized as indispensable by civilized peoples. Note that there is no hearsay rule listed among those indispensable rights. Examine the rules for the International Criminal Court, the International Criminal Tribunal for the Former Yugoslavia, the International Criminal Tribunal for Rwanda, the Special Court for Sierra Leone, and the Extraordinary Chambers in the Courts of Cambodia—judicial systems expressly sanctioned by the United Nations—and you find no hearsay rule. Finally, examine the rules for the Nuremberg trials and you again find no rule banning or limiting the admissibility of hearsay. An accused in a military commission is entitled to a fair trial, not one that is identical in every respect to the trial of an American citizen. Since hearsay rules are not an internationally recognized judicial guarantee, the notion that Congress created a system of justice at Guantanamo Bay that is an embarrassment because it allows hearsay evidence is one of many false flags. As I said at the outset, what I offer are personal impressions from my vantage point, and this is what I see: during a period of armed conflict, we are detaining alien unlawful enemy combatants consistent with an internationally accepted principle that dates back more than four hundred years. We are detaining them in facilities that by any objective measure meet or exceed the physical standards of confinement facilities in the United States where many American citizens are incarcerated. We afford them treatment – culturally appropriate food, a full range of medical care, accommodation of religious practices – that would be the envy of some of our own incarcerated citizens. And the ones we seek to hold accountable for past conduct in trials before military commissions are afforded rights and protections that meet or exceed the judicial guarantees recognized as indispensable by civilized peoples. I challenge anyone to review the MCA and MMC, compare them to the rules for the International Criminal Court, the International Criminal Tribunal for the Former Yugoslavia, the International Criminal Tribunal for Rwanda, the Special Court for Sierra Leone, and the Extraordinary Chambers in the Courts of Cambodia, and then explain why military commissions provide an inferior standard of justice by comparison. Perhaps a rule here or there in one of the other systems is more advantageous to an accused than the comparable rule in military commissions, but a holistic comparison against each system shows, in my view, that the quality of justice provided by the MCA and MMC meets or exceeds the standards in any of the U.N.-sanctioned tribunals. Am I ashamed of the picture I see of Guantanamo Bay and the military commissions? Absolutely not. There are those who want to sell a false and ugly picture of the facilities and the process, and they have been very successful in manipulating public opinion while we on the other side have been largely ineffective. If they continue to succeed in generating a false sense of collective shame, then perhaps public pressure will become so great that the political process will bend and cause a change of course. In my opinion, that would be unfortunate and unnecessary. Even some of the most vocal critics claim they are not soft on terrorism and do not want to set terrorists free, but they believe Guantanamo Bay and military commissions have become such liabilities that we need to look for other alternatives. Perhaps if we do a better job of educating the public about the truth, we will demonstrate that there is nothing wrong with the alternatives currently in use. We have a good story to tell, and we should not be ashamed to tell it. I see in Guantanamo a clean, safe, and humane facility to detain enemy combatants and a fair process to adjudicate the guilt or innocence of those alleged to have committed crimes defined by Congress and the laws of war. To paraphrase a quote from Jane Austen’s Pride and Prejudice, there is nothing more deceitful than the contrived indignation of those intent on closing Guantanamo Bay by any means necessary. Blow away the smoke of their hyperbole, and look again through clear eyes. The picture looks much better than you were led to believe. Colonel Davis is the chief prosecutor for the military commissions. He is an Air Force judge advocate. Preferred Citation: Morris D. Davis, In Defense of Guantanamo Bay, 117 Yale L.J. Pocket Part 21 (2007), http://thepocketpart.org/2007/08/13/davis.html.